New Xbox Hardware is Rumored for gamescom, But is Next Gen Now? This morning, Microsoft’s Major Nelson (Larry Hryb) gave a quick preview of what we can expect from Microsoft and Xbox at gamescom this year. One line in particular stuck out to many. Hryb cites “all-new Xbox hardware and accessories” making an appearance at Inside Xbox during the show (Editor’s Note: Hryb corrected that line after we had published this piece and clarified that he meant all new “bundles,” not hardware), and speculation is creeping that Microsoft might be getting ready to show off their next generation of hardware. 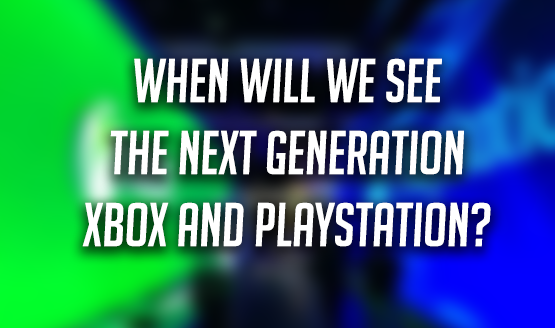 This speculation seems to be wishful thinking as we come to the end of a console generation. Despite the pomp of gamescom as Europe’s premier gaming expo, it’s unlikely that this is actually where we’ll see Microsoft unveil the next generation. There are a number of reasons we’ll probably have to wait until at least 2019 (if not even longer) before we see new console hardware. It happens with the end of every console generation. Fans begin to theorize what we might see next and when we’ll see it. That speculation is fueled by excitement for how video games will advance, but often begins well ahead of when the console manufacturers are ready to reveal their latest creations. We’ve basically been talking about the PS5 and Xbox Two since the launch of the PS4 Pro and Xbox One X, and we’ll jump at any hint that we might see the future now. There are a couple of supporting factors for why people hold out hope that we’ll see the next generation soon. Microsoft is currently getting crushed by Sony pretty badly in terms of overall console sales. Even the Xbox One X hasn’t been enough to give them a better share of the market. People wouldn’t fault Microsoft for writing that next chapter, jump starting the next generation ahead of Sony. In fact, it’s what helped give the Xbox 360 such a fantastic lead on the PS3 (among other factors). The downside to this (for Microsoft) is that early announcement and release allows Sony to counter Microsoft’s features and hardware. The more in-line they release with Sony, the better opportunity they have to level the competition. We’ve also been in this console generation since 2013. Hardware is beginning to show its age, and it’s amazing what developers can pull out of the base PS4 and Xbox One consoles. The Pro and the X might have better internals, but they are still limited by the base models having to be the lowest common denominator. Developers can’t truly unlock and make use of the power in these mid-gen consoles for fundamental gameplay improvements because everything has to coexist with its launch model counterpart. Instead we get stuck with visual improvements like higher resolution and better framerates. Not bad things, mind you, but just not what I really truly want from a next generation of console. At E3 2018, Microsoft dropped hints on stage about future Xbox consoles–plural–in development. They are aware that everyone knows a new generation is coming eventually, so they didn’t shy away from talking about it, but they didn’t reveal anything either. Iteration and innovation are important, but the company also doesn’t want to cannibalize sales of the Xbox One X, which hasn’t even hit its first birthday yet. It simply wouldn’t make sense to announce the Xbox Two–or whatever the next generation Xbox will be called–while still trying to drum up sales and interest for the One X. Unless the Xbox One X was a prequel. What if moving into the next generation, the One X becomes the default base model for Microsoft, allowing the NeXtbox to become the premium flagship console? It feeds into theories that future consoles will be less stand-alone and iterative, and more like mobile phones, tablets, or computers, gathering support across multiple improvements in the hardware line. Speculation like this is what landed us here though, and even if this is how the console’s future plays out, I still don’t think Microsoft is going to announce a new console at gamescom. Being completely fair, there haven’t been enough console generations to establish a firm pattern of how often we get new tech. Sure, it was seven years between the PS3 and PS4, but it took six years to get to the PS3 from the PS2, and the PlayStation 2 debuted only five years after the first grey console we know and love. By that logic, we’re actually increasing by a year each and every generation, so we shouldn’t expect a PlayStation 5 until 2021, based purely on mathematical patterns. The Xbox side of things gets even more tricky. It was only four years between the first Xbox and the 360, and then eight years before the Xbox One finally came out. Other factors to consider are whether or not the PS4 Pro and Xbox One X count as console launches to factor into that timetable or not, as well as what the next generation will look like. Is the industry moving away from more traditional static console releases? That could significantly impact the release pattern. Right now we’re only at five years in the current generation and it just seems to be hitting its stride in full, a strong concluding few years before new hardware releases. Coming up at the tail end of the hardware race, Microsoft isn’t going to want to squirrel away a next generation console announcement at a noisy event like gamescom. They’ll want to be the only talking point. Both the PS4 and Xbox One had exclusive events to reveal their new consoles. The new consoles were the center of all discussion. There’s no way that we’ll get a full reveal of what’s coming next at a trade show or expo where other things can distract from exactly what each company wants to say about their console. Until press starts saying that they got invited to an exclusive Microsoft or Sony event, I would place a heavy wager on not seeing any next-gen reveals at the likes of gamescom, E3, or even PlayStation Experience. The consoles were also revealed less than a year before their eventual releases, earlier in the year with a late-year release. Sony spread out their reveal, with the initial reveal coming in February 2013, more information on the console at their E3 press conference that year, with a release of the PS4 in November 2013. 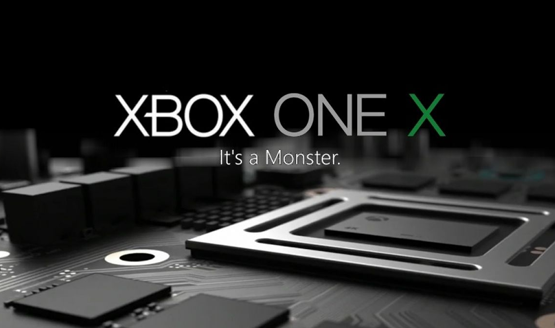 Similarly, the Xbox One was revealed at a special Microsoft event in May 2013, a little more information came at E3, and then November 2013 also saw that console release. If Sony and Microsoft are going to target late-year releases again–which seems to be consistent across all of their consoles–don’t expect a reveal until sometime in the first half of the year they are to release. While there’s a chance the first half of 2019 could see reveals, I think we’ll be waiting until early 2020 before hearing a peep about the next generation Xbox and PlayStation consoles, with a late 2020 release to follow. Other speculation says that Microsoft’s “new hardware” is a new iteration of the Xbox Elite Controller, which seems much more likely than a whole new console reveal. If we do see new console hardware from Microsoft, it will probably just be an iteration of the Xbox One (maybe a One X Slim?) rather than a look at the next five to ten years of gaming. We all know it’s coming, and it’s coming soon, but have a little patience. Such grand announcements aren’t going to take place at industry-wide trade shows like gamescom. Sony and Microsoft won’t want to be a part of the noise. They want to be the noise.